through the rhythms of the seasons and hands-on learning and play-- all in an outdoor, farm setting. We are an educational farm and have a lot of exciting things happening. Here's a list of most of what we do.... and the list keeps growing! We grow community and relationships as we work together on the farm caring for pigs and chickens, milking the goats, working in the garden and learning all about horses. Our farm classes are held outside during the school year and believe in getting kids outside in all weather as they connect with the seasons and the rhythms of nature. Many children have been enrolled in our programs for years and have developed a deep understanding of farm life through our immersive, hands-on classes. We open our classes to all abilities and include as we are able to. The adaptive riding program at Laughing Buck Farm delivers equine assisted activities (EAA) and equine facilitated learning (EFL) to individuals with cognitive, physical and social/emotional special needs. Participants will experience horsemanship lessons with PATH (Professional Association of Therapeutic Horsemanship) International certified instructors who are also PATH Equine Specialists in Mental Health and Learning. We aim to make our hands-on educational farm experiences available to everyone. We work with the Mathew's House, The Growing Project, The Arabic School of Fort Collins, daycares and PSD school groups throughout the year. We host volunteers from Imagine's Out and About Program and Shine – adults with cognitive disabilities. 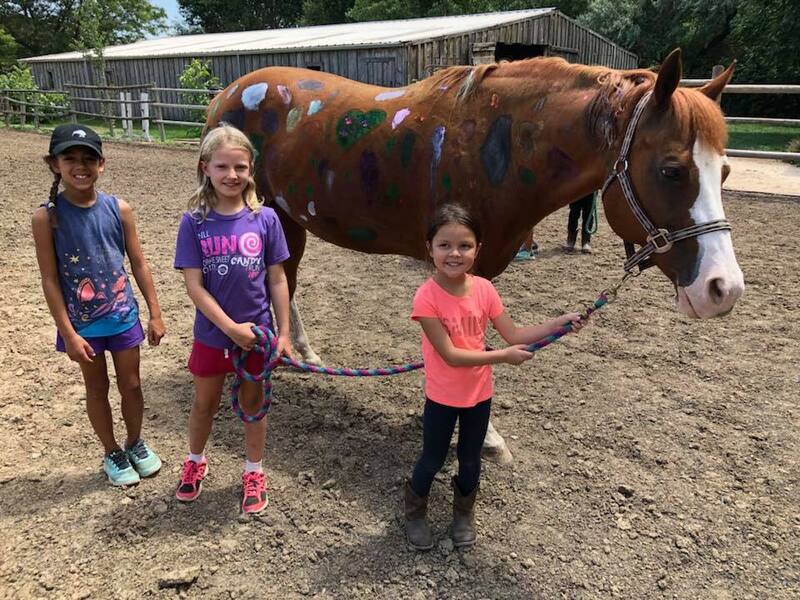 We use adaptive teaching methodology to offer recreational and educational experiences in a working farm setting to promote cognitive, physical, emotional and social well-being in a working farm environment. of ALL AGES, BACKGROUNDS AND ABILITIES. Gather your friends or family and come join us! 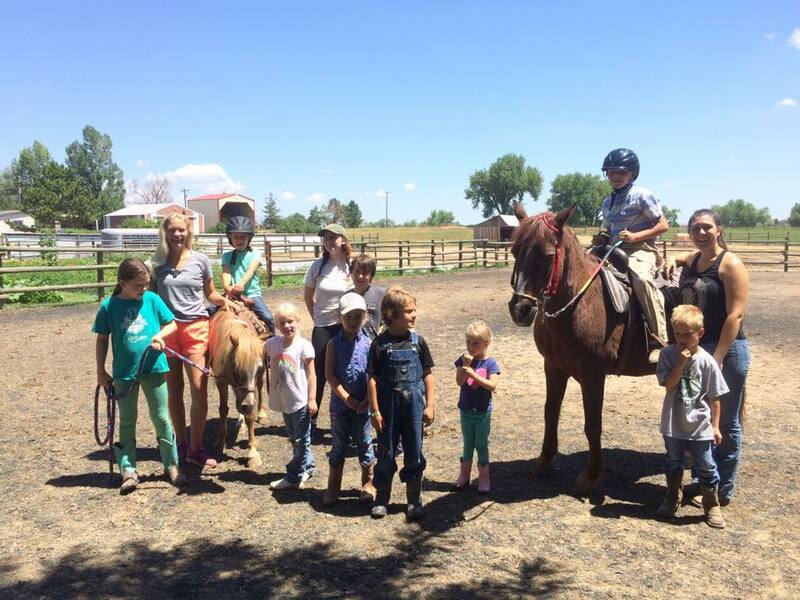 Laughing Buck Farm hosts high school interns from Poudre and Fossil Ridge high schools. Alternative Cooperative Education (ACE) is available at all PSD high schools. ACE provides work experience, related classroom instruction and vocational transition planning for high school students with special needs. Students develop personal and career skills preparing them to live and work independently as vital, contributing members of their community. We invite youth to work on the farm alongside instructors and farm workers where they will gaining skills in working with horses, pigs, goats and chickens. They also assist with our educational programs, learning social skills, leadership, confidence and connection. We partner with the ACE (Alternative Cooperative Education) program which provides work experience, related classroom instruction and vocational transition planning for high school students with special needs. Students develop personal and career skills preparing them to live and work independently as vital, contributing members of their community. 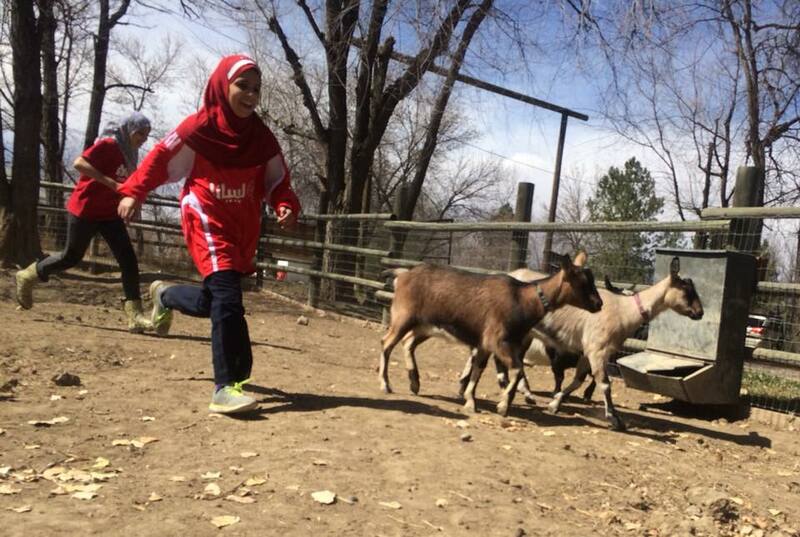 Global Adventures 4-H group is designated for children with disabilities, ASD, sensory issues in Larimer County. More information about joining 4-H can be found here. We have classes for all ages and abilites... come on out to the farm and make some awesome summer memories! Our integrated farm experience aims to help children develop and improve their social-emotional skills, independent living skills, and sensory regulation skills by learning through a sensory-rich environment, where kids can experience the sights, sounds, smells, feel, and work, of farm life. Being in nature, and with animals, has been researched to help decrease anxiety and can be a powerful way to reduce negative thoughts and emotions. This camp will be a girls-only camp that will gently explore mindfulness, relaxation, and the pure beauty and simplicity of farm life.